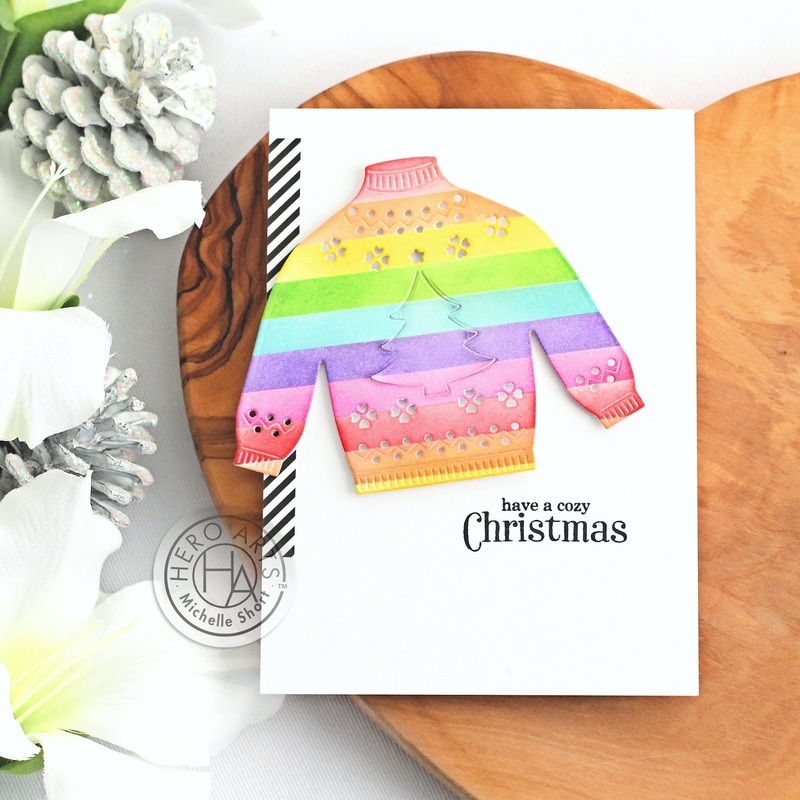 Hello there, today is an exciting day as Simon Says Stamp has collaborated with Hero Arts to create a wonderful die for DieCember. 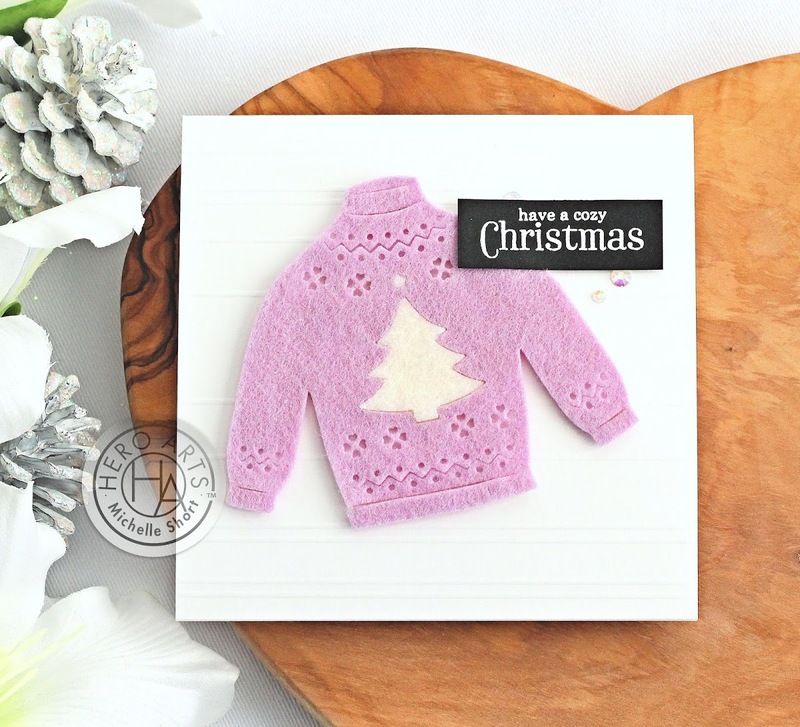 It is called Christmas Sweater and is exclusive to Simon Says Stamp. I have created two cards with it today, one from cardstock and one from felt. I started off my first card by die cutting the Christmas Sweater Fancy die from white cardstock. I then created stripes on to it using masking tape and Distress Inks. I masked off stripes above and below where I wanted to ink and then using an ink blending tool, blended on Distress Inks in rainbow colours. I then took an A2 card base and cut 1/4" off the side so that I could add the sweater hanging off the side but it still fit in an A2 envelope. I stamped the sentiment from the Christmas Messages stamp set on to it using black ink. I then added a small strip of black and white paper to the left side and added the sweater on top with foam tape. 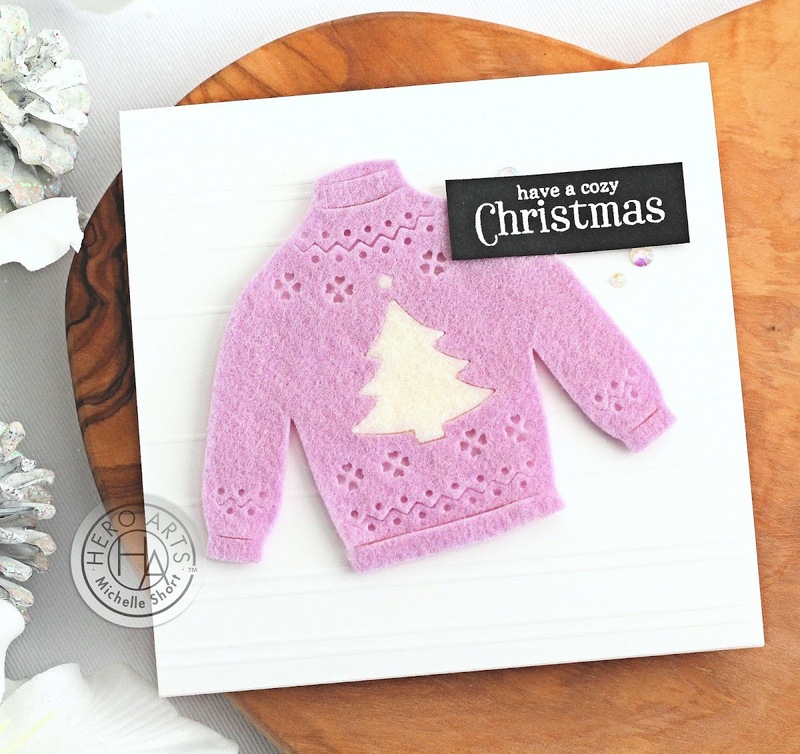 For my next card, I wanted to cut the sweater from felt. I cut it once from lilac felt and then cut it again from white. I cut out the tree from the lilac one and added in the tree from the white one. I also added the white star. I took a 4.75" x 4.75" white card base and added some score lines on to the front for some interest. I then added the sweater on top with foam tape. I took the same sentiment from the Christmas Messages set and stamped in on to black cardstock with Versamark Ink. I applied white embossing powder and heat set. This was cut in to a strip and added to the card with more foam tape. To finish off, I added a few jewels. The possibilities are endless with this die. 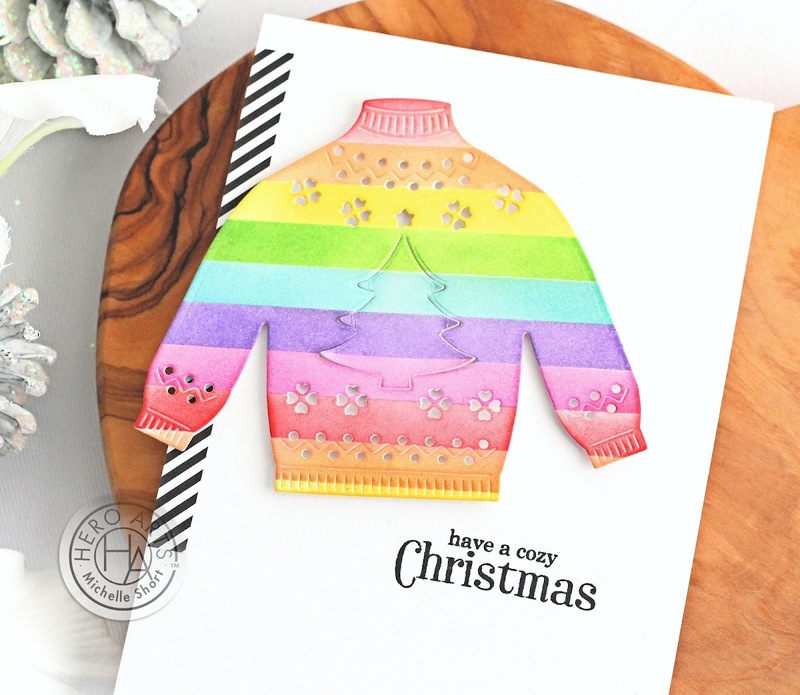 You could make some really fun patterned and colourful sweaters! Thank you so much for stopping by today. Have a great day! love love love these cards!! Super fun!! I love what you did with the sweaters. I really want this die! Love both of your sweater cards but especially the lilac felt one!! Gorgeous work!